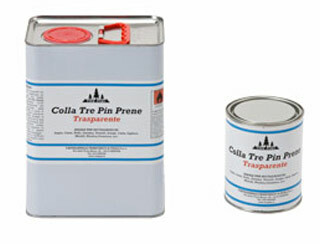 Transparent medium viscosity contact polychloroprene adhesive. Suitable for leather, rubber, ceramic, cork, cloth, wood, metal, plastic, paper, ecc.. Particularly used in leather industry, production of bags and belts, orthopaedic industry. Sticked materials keep an excellent elasticity.